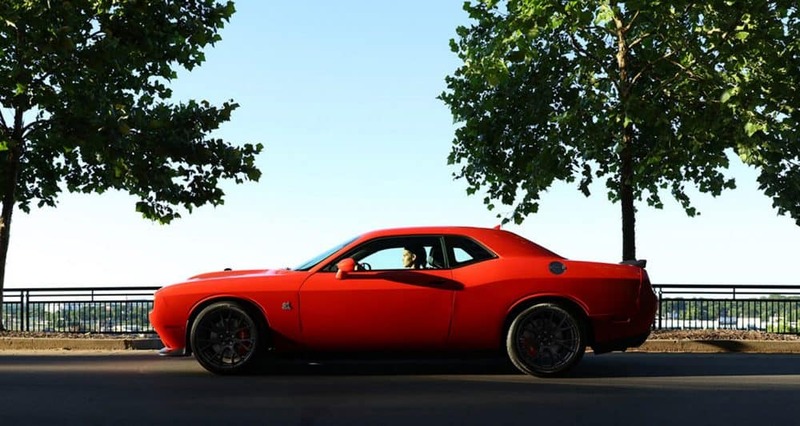 In a world where every car is trying to outmuscle the other, the Dodge Challenger reigns supreme. Every model year, this retro-styled muscle car continues to improve and build upon its earned success. In the previous model year, the SRT Demon came roaring into fruition and took the car world by storm. 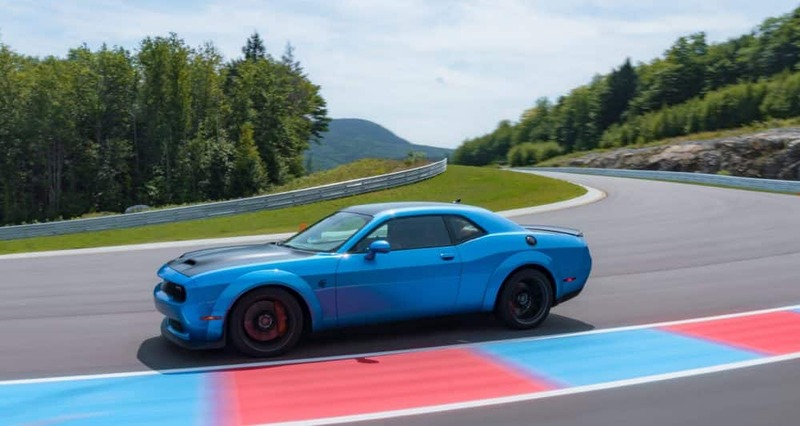 In order to echo the beloved Demon, the 2019 Dodge Challenger has added its worthy successor. 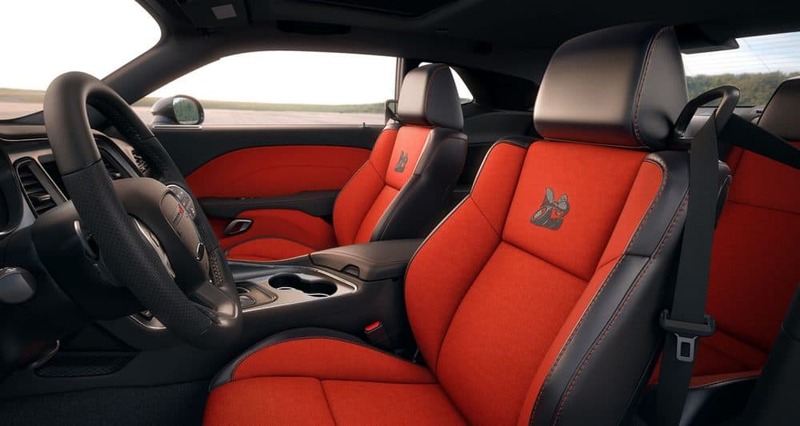 This new addition is the Hellcat Redeye, which comes with extreme amounts of power--up to 797 horsepower. This means that the Challenger refuses to rest and wait for the competition to catch up. Instead, the 2019 Challenger is continuing to pave the road of what exactly it means to be a muscle car. 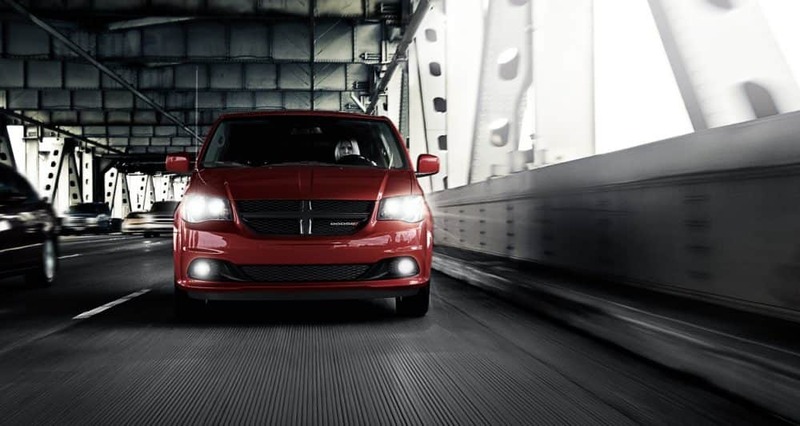 Keep reading to learn more about what else the Challenger has to offer! What engines come with the Challenger? 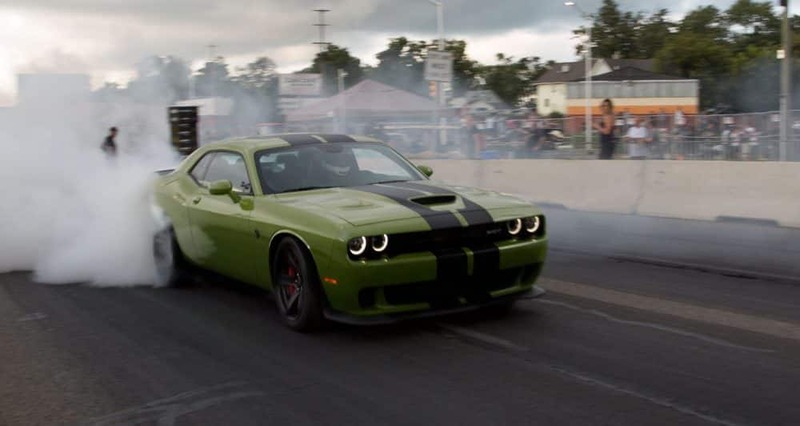 Power is the name of the game when it comes to any muscle car, and the 2019 Challenger is no exception. Four different engines are available with the Challenger lineup. The first two engines in the lineup include the 3.6-liter V6 and the 5.7-liter V8. The 3.6-liter engine gets around 305 hp, while the 5.7-liter will get you up to 375 hp. The engine that sits in the middle of this lineup is the 6.4-liter V8, which offers around 485 horsepower. The highest engine option, found with the SRT Hellcat and SRT Hellcat Redeye, is the supercharged 6.2-liter V8. 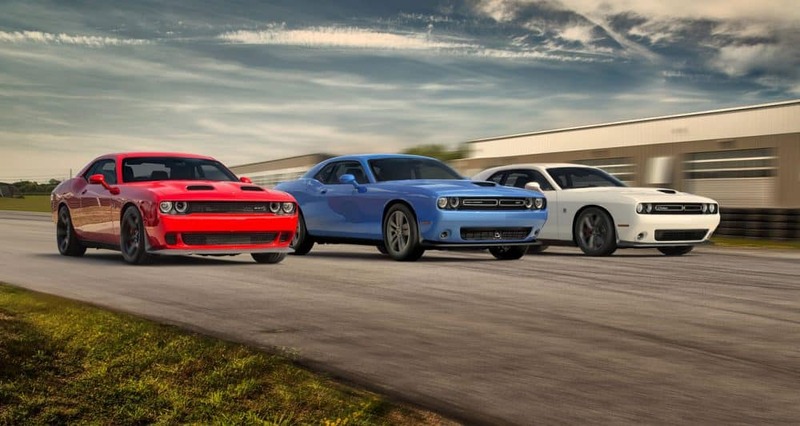 The regular Hellcat model gets you around 717 hp, while the Hellcat Redeye ups that to 797 hp. Every V8 engine in the lineup, with the exception of the Redeye, can work with a six-speed manual transmission. 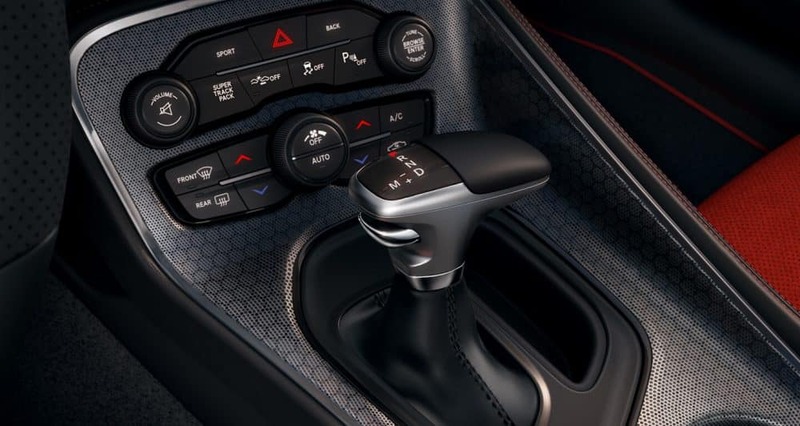 Otherwise, you'll be getting an eight-speed automatic transmission. What model lineup comes with the Challenger? This two-door coupe, which seats five comfortably, comes in multiple different trim levels. The base trim model is the SXT. 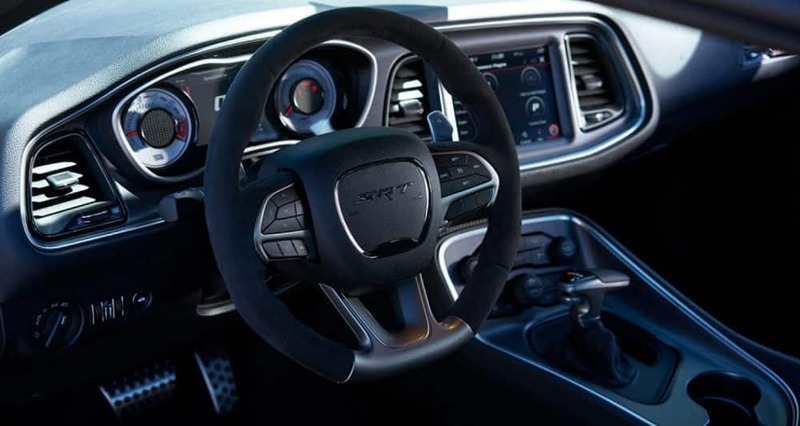 The SXT comes with a leather-wrapped steering wheel, 18-inch wheels, Apple CarPlay and Android Auto smartphone integration, dual-zone automatic climate control, a 7-inch touchscreen, two USB ports, keyless ignition and entry, 60/40-split folding rear seats, a 6-speaker sound system, a power-adjustable driver seat, Bluetooth, and an auto-dimming rearview mirror. For an extra boost check out the GT, which adds a performance steering system, upgraded brakes, performance-related in-car apps, hood scoop, a sport steering wheel with shift buttons, remote ignition, fog lights, 20-inch wheels, and rear parking sensors. For more features, the R/T 392 adds special styling elements, a higher-performance sport-tuned suspension, Brembo performance brakes, an 8.4-inch touchscreen, a black fuel door, a heated steering wheel, HD and satellite radio, a rear spoiler, configurable driving modes, heated cloth sport seats, and line lock for drag strip burnouts. What safety features are offered with the Challenger? While power is the main focus when it comes to muscle cars, safety should never be overlooked. 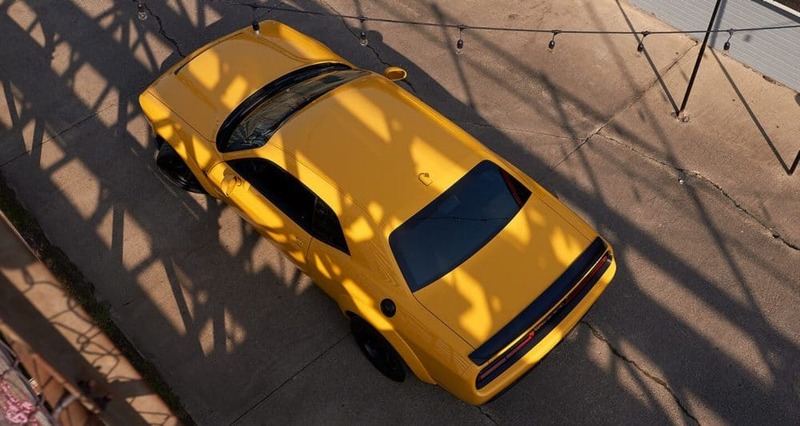 The 2019 Challenger comes available with safety features like hill start assist, electronic stability control, all-speed traction control, automatic high-beam headlamps, adaptive cruise control, blind-spot monitoring, ParkView rear backup camera, full-speed forward collision warning, a solid frame, crumple zones, supplemental front and rear side-curtain airbags, multistage driver and front passenger airbags, and front seat-mounted side airbags. 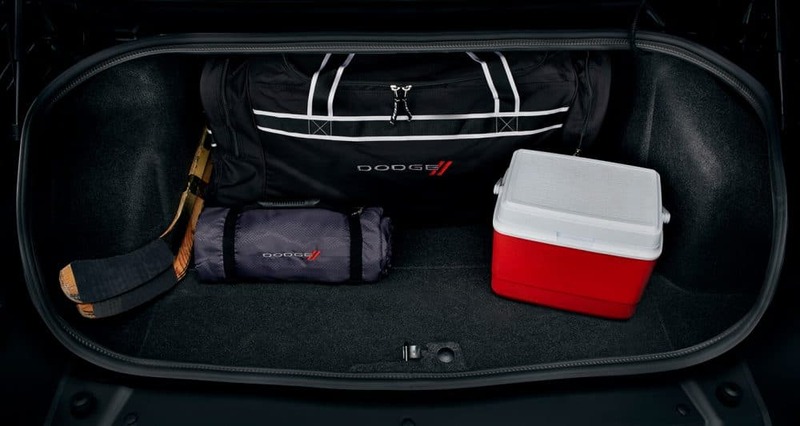 If you're looking for a powerful muscle car that holds nothing back, then you need the 2019 Dodge Challenger. This retro-looking vehicle has the attitude and aggression that you're looking for! Stop by our dealership or give us a call if you want to learn more.